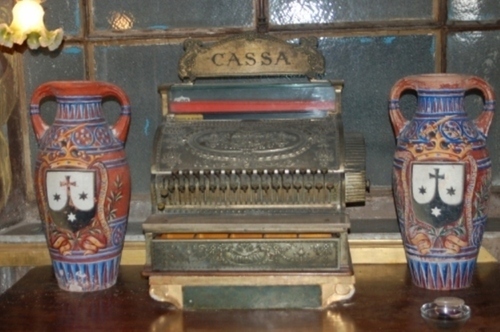 The “Antica Spezieria di Santa Maria della Scala” is an historic pharmacy located in Rome (Piazza della Scala, 23). 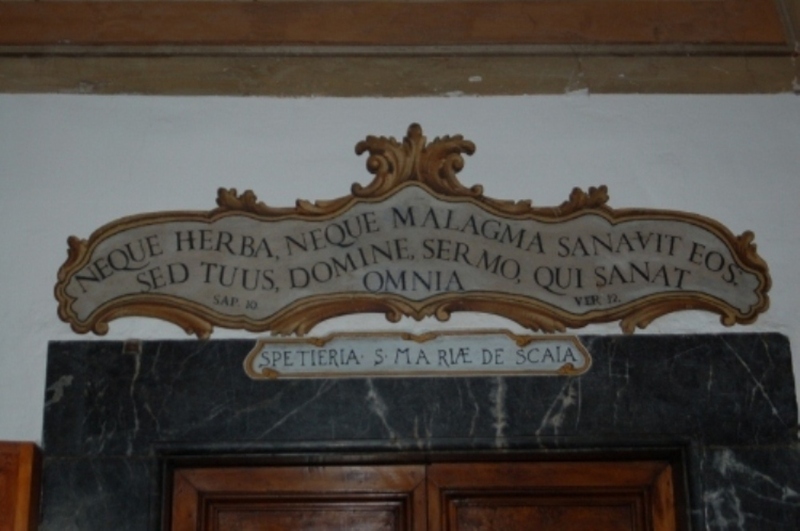 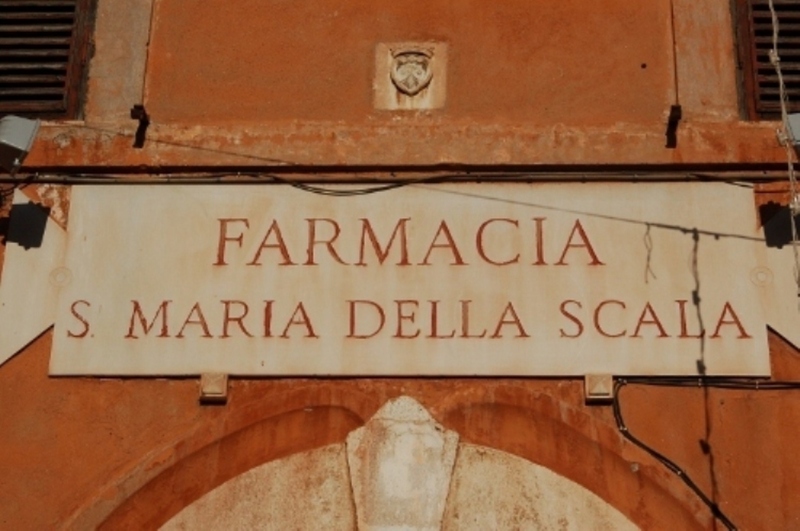 Situated at the interior of the cloister and near the church of Santa Maria della Scala, the spicery was started up by the Discalced Carmelites. Pope Clement VII gave them the convent (mid 1500s). 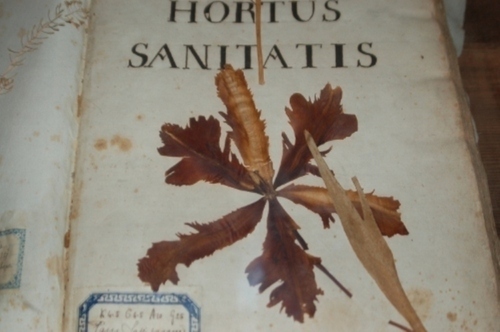 At first the friars started cultivating some aromatic and medical herbs at the convent’s garden to treat their sicknesses and they established an excellent chemist’s school. 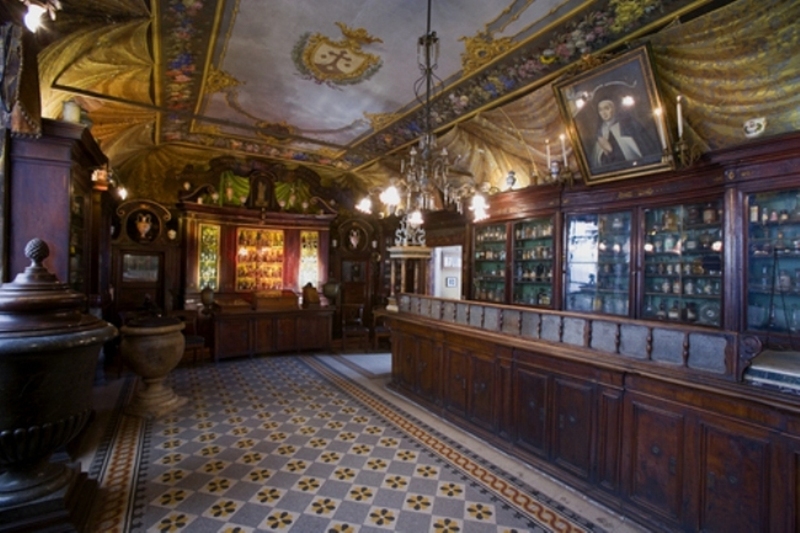 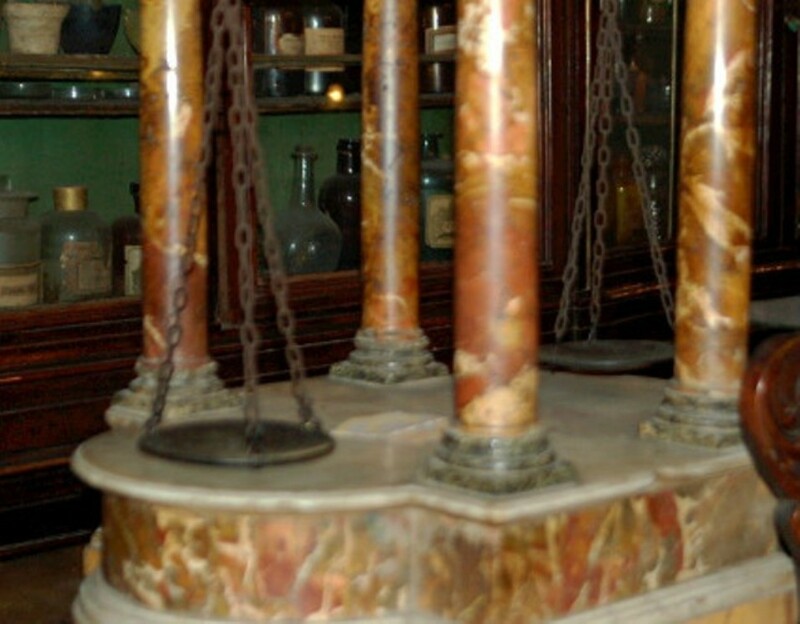 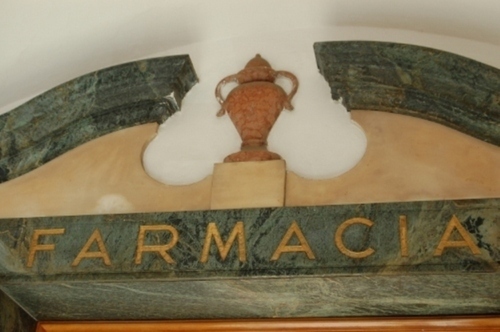 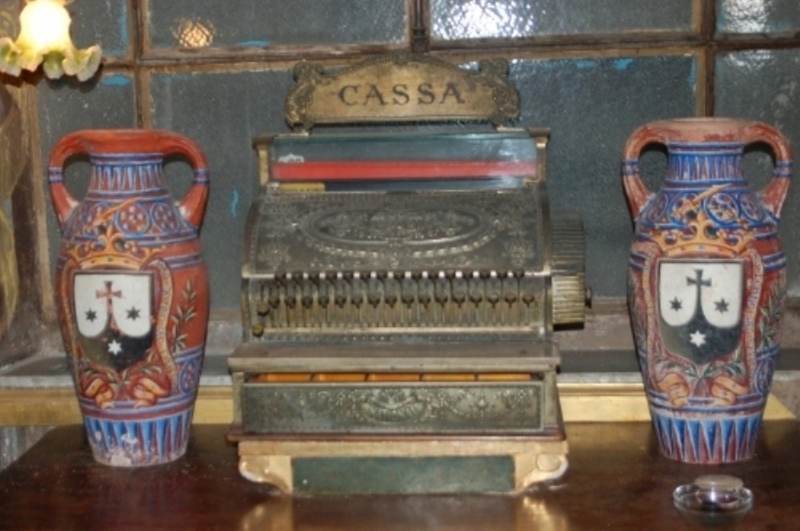 Finally, towards the end of 1600s, the pharmacy became so famous in Rome that it was opened to the public. Some time afterwards, “Santa Maria della Scala” became the official Pope’s pharmacy and became known all over the world. 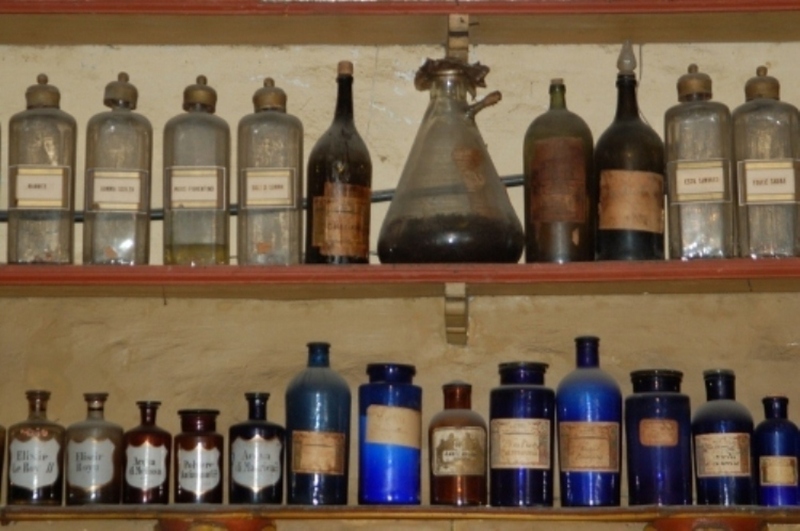 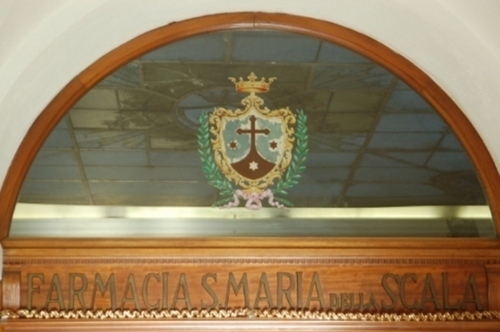 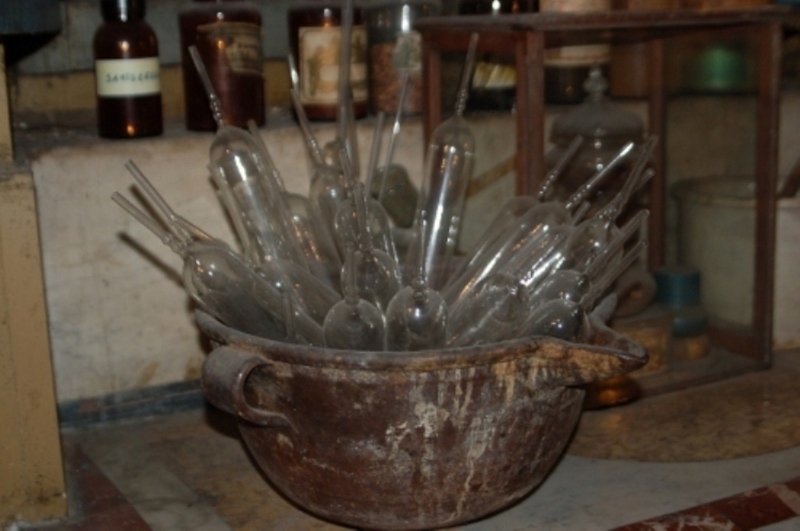 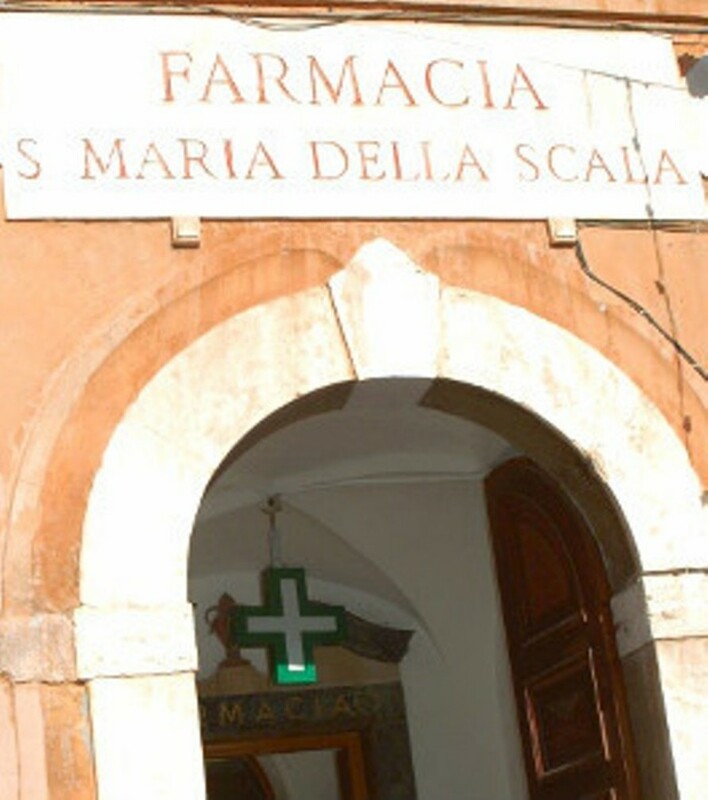 The Discalced Carmelites kept working and producing medicine until 1978, when a new modern pharmacy was opened on the first floor of the monastery. 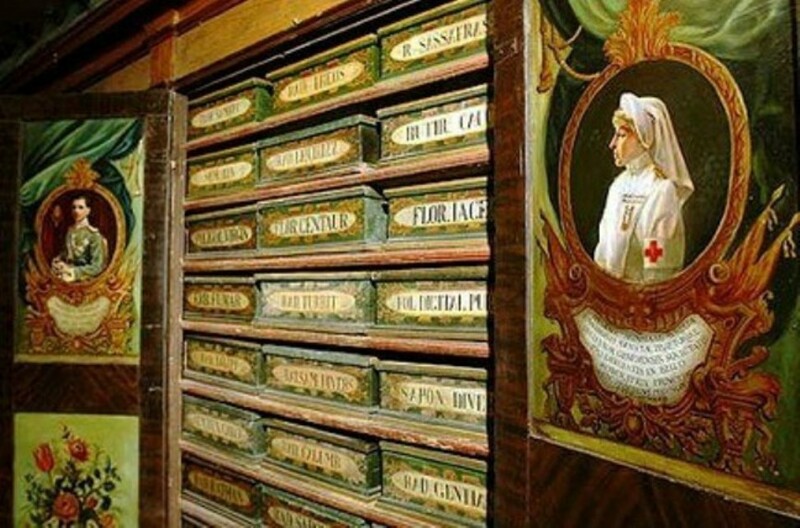 In spite of their studies, the pharmacists were nonetheless churchmen, so they thought that the curative power of their medicine came not only from science but, above all, from faith. 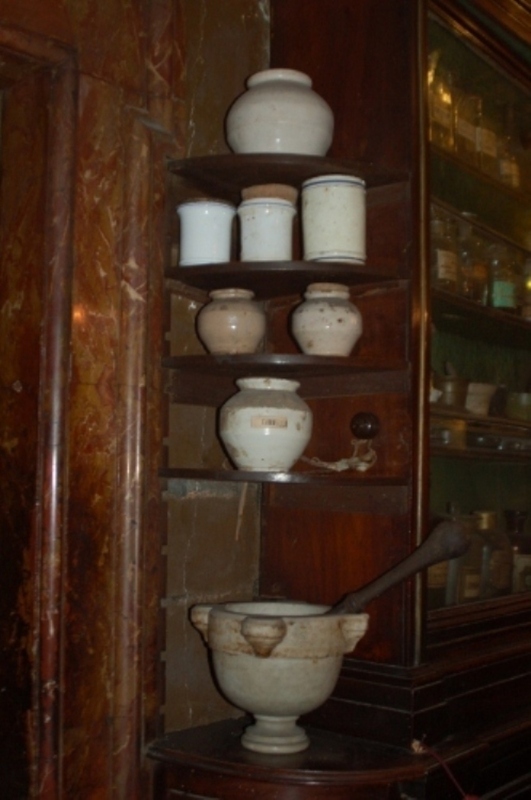 In this room there are some shelves where old instruments are kept: vases, reels, distillation towers, scales, mortars and bottles. 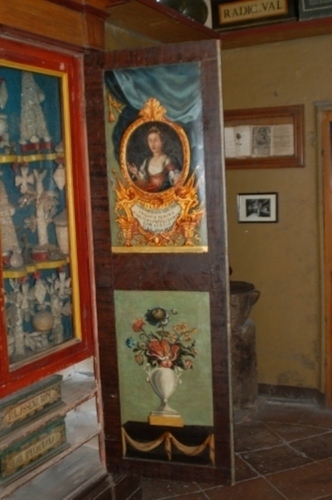 The furniture dates back to 1700, the ceiling is covered by frescos, and dates back to 1800, like the floor. 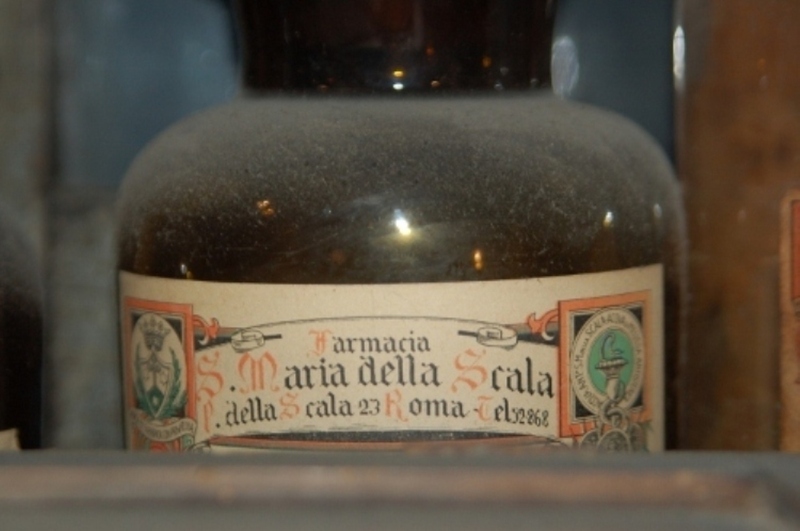 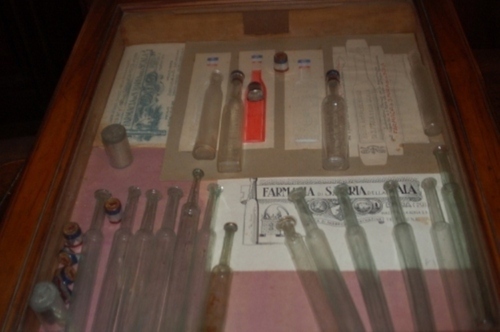 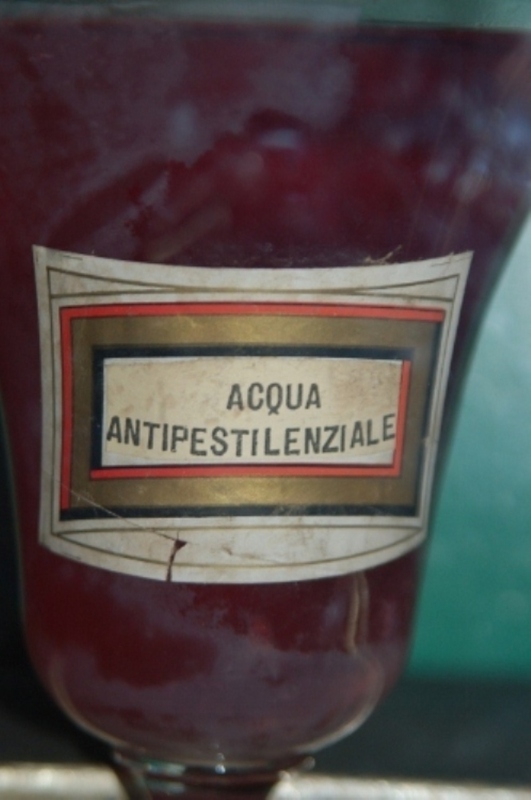 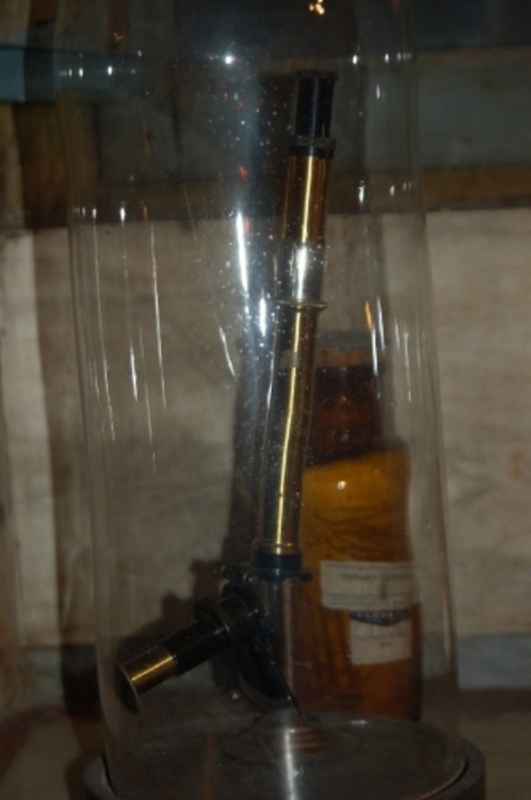 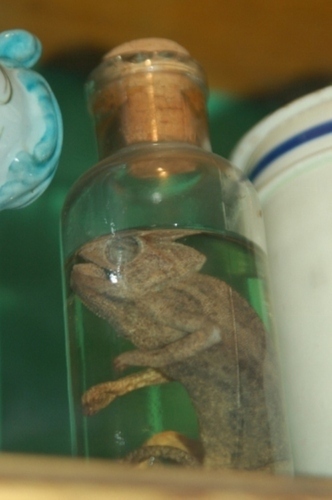 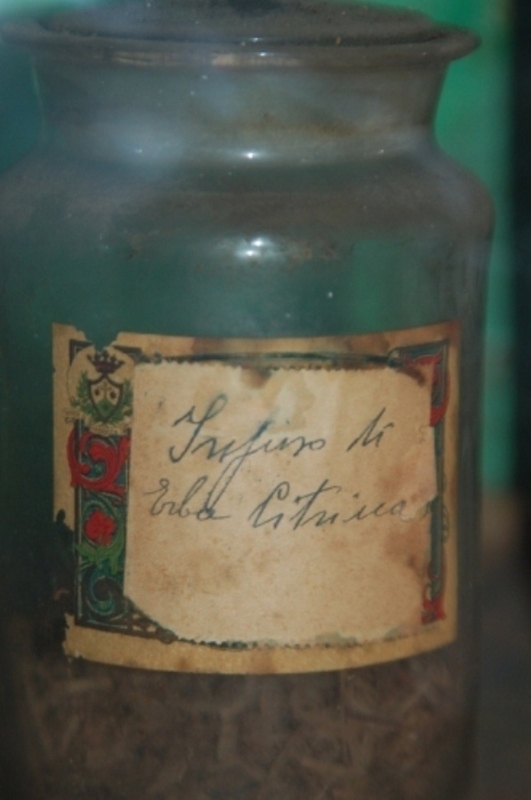 Among other products the friars produced the “Acqua di Melissa”, an analgesic for hysteria, the “Mistura Baccelli”, created to cure the marsh fever, the "Acqua Antipestilenziale", to cure the plague (disease), the "Antiasmatico", and other medicines. 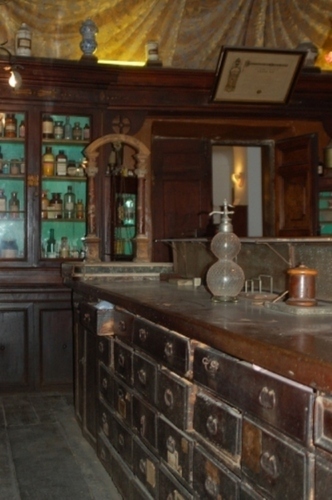 In addition, the friars were always studying and doing experiments. 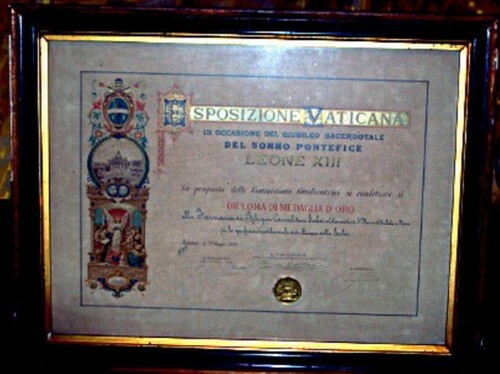 In 1887, for his 50 years of priesthood, Leone XIII (1810-1903) presented the friars with a degree for their good work. 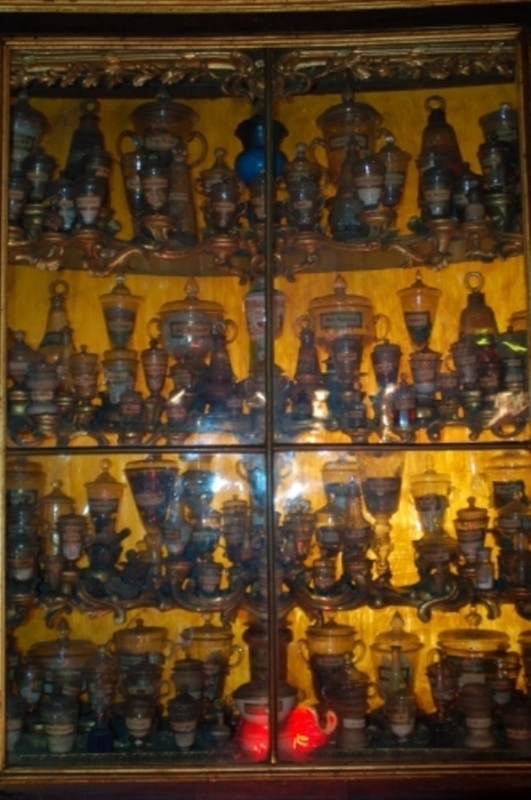 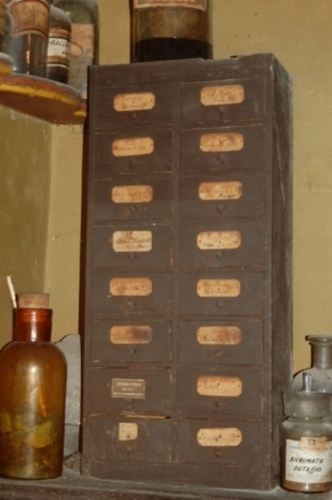 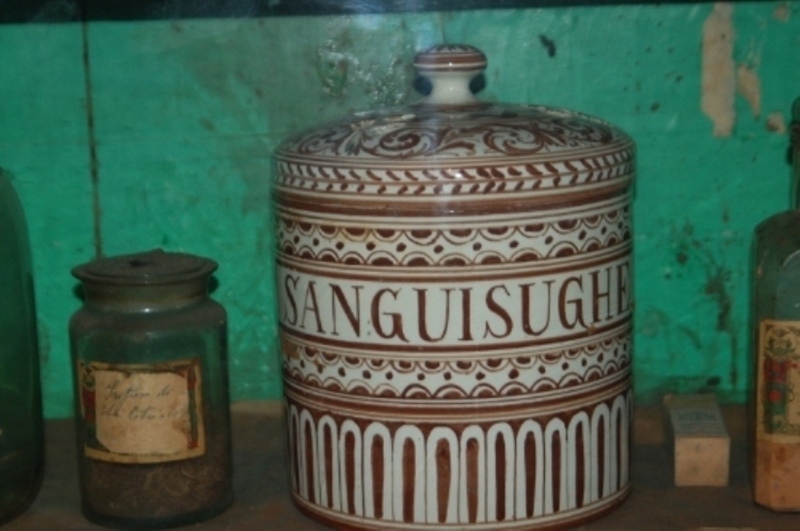 Here, herbs and medicines were kept in wooden boxes. 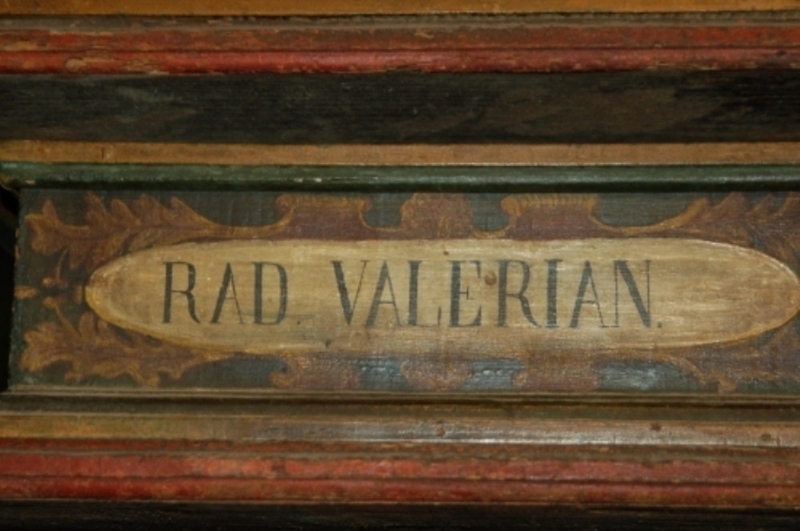 On the wardrobe's doors there are paintings of famous doctors such as Hippocrates, Claudius Galen and Avicenna, and portraits of kings and queens who visited the pharmacy, like Victor Emmanuel I of Sardinia and his wife, Maria Theresa. 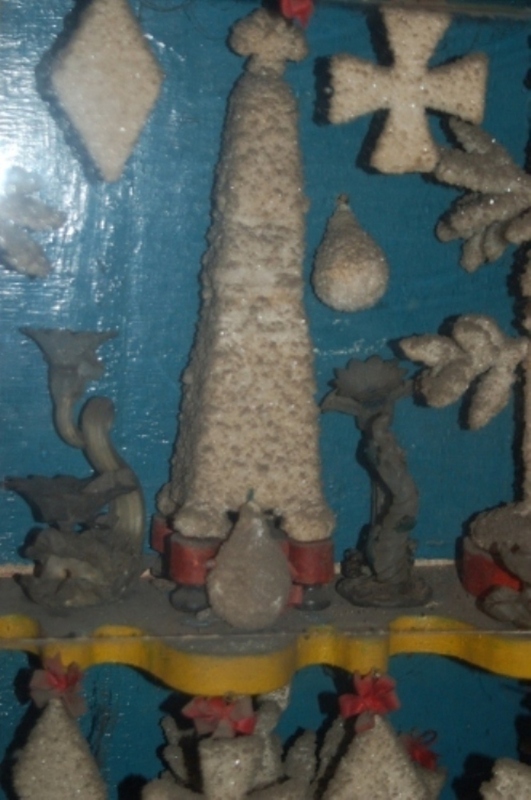 On the shelves we can see some salt crystals and other small bottles and pots. 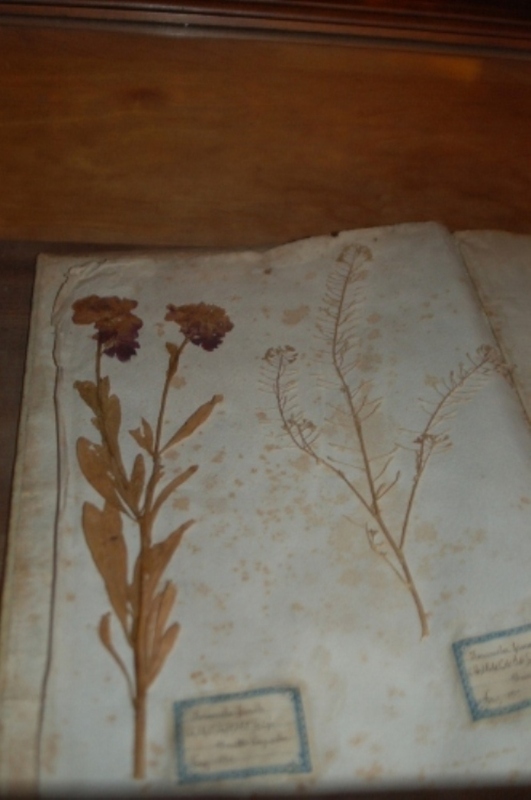 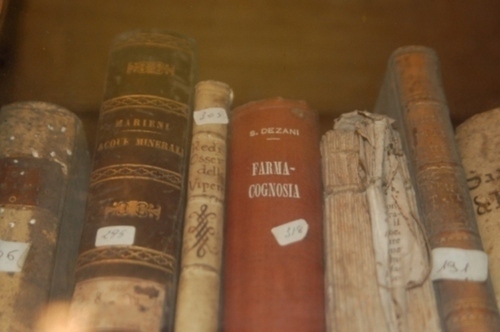 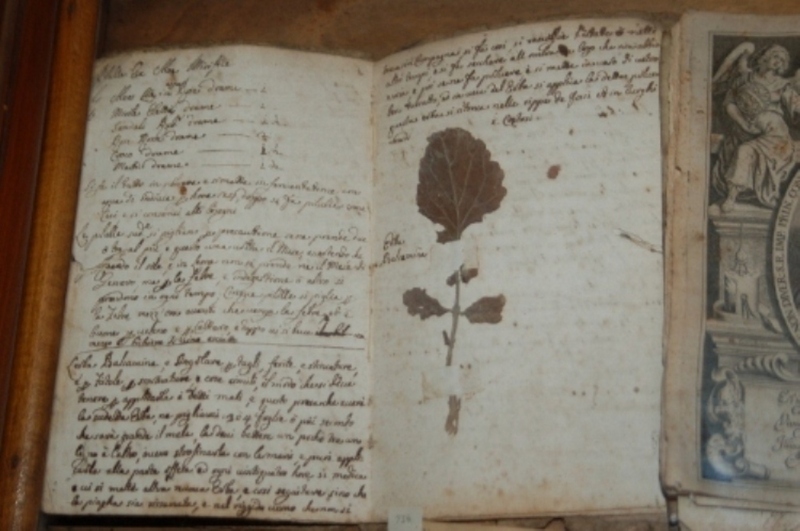 The pharmacy was also used as a library where, to this day, the herbarium written by fra' Basilio, is preserved. In 1726, he also established a school course to teach chemistry, pharmacy and botany. 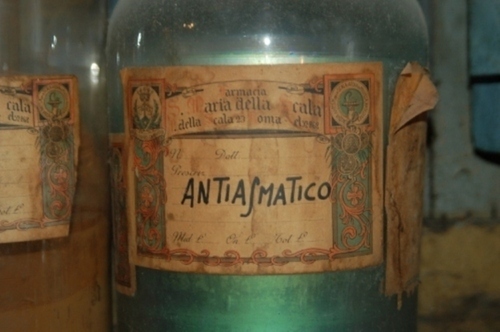 Photos by Camilla Colicchia ti.liamtoh|aihcciloc.allimac#| (January 2014), courtesy of "Antica Spezieria di Santa Maria della Scala"
Angelina De Salvo, Erbe e speziali. 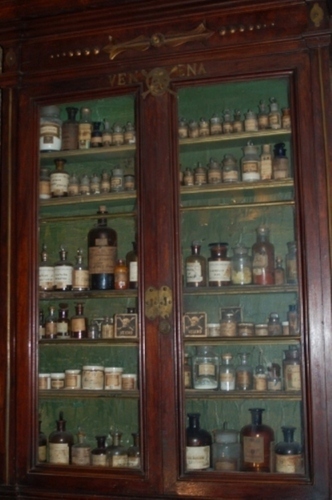 I laboratori della salute, «Nuova Informazione Bibliografica», Il Mulino, October-December 2007, pp. 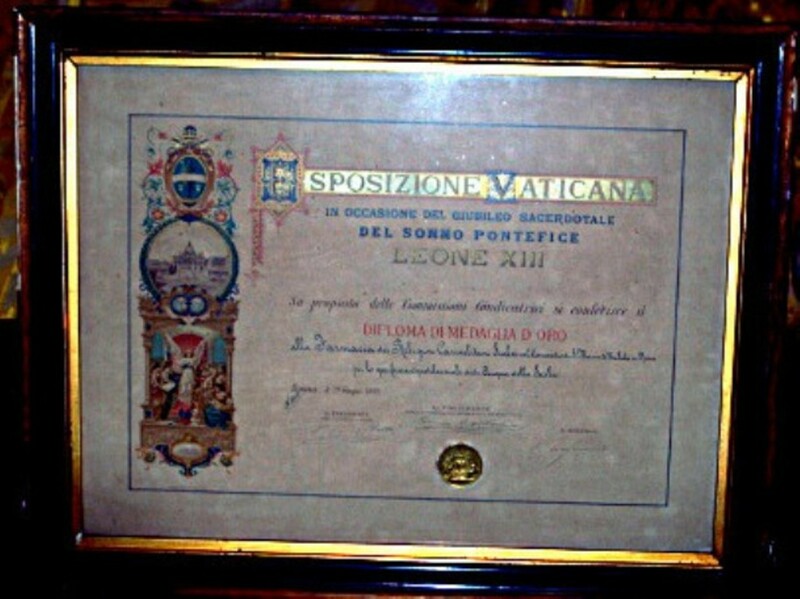 749-750. 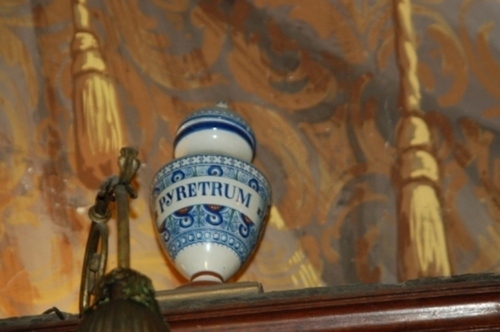 «Punto Effe», 19-9 December 2011, p. 58. A. Eucalipto, La più antica Farmacia d'Europa, «TAXI», November 1981, pp.4-5.